Perfectly situated just steps from the sun drenched shores of Boca Raton within the premier yachting community of Lake Rogers is this exquisitely crafted waterside home. Spanning over 4,900 square feet of living space, this awe-inspiring Lake Rogers abode offers 5 bedrooms and 5.5 bathrooms. Highly customized, the sumptuously appointed interior boasts an array of deluxe appointments including hardwood and marble flooring, volume ceilings, plantation shutters and numerous custom built-ins. Outdoor living areas boast equally exceptional features including a well equipped summer kitchen with built-in grill and refrigerator, a tumbled marble patio and a 4 post boat lift with private dock for vessels up to 60 feet. Additional features include a 1st floor Master and guest suite with private baths, second story guest suites and spacious loft, a top-of-the-line kitchen with granite counter tops and stainless steel appliances, a handsome library, a 3-car garage, a gas generator and recently installed impact windows throughout. 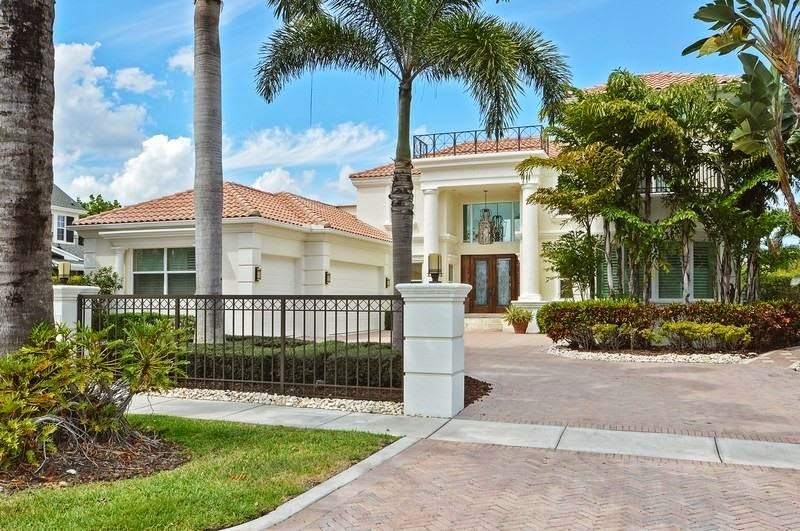 785 Ne 33rd Street is located in Boca Raton and is currently asking $2,150,000. This Lake Rogers listing is courtesy of Coldwell Banker/br MLS# RX-10124454. Lake Rogers is a deep water boating community located in the upscale coastal city of Boca Raton, Florida. Situated just steps from the beach in East Boca Raton, this family friendly yachting community offers residents a premier location just minutes from the world class shopping, dining and nightlife of nearby Mizner Park.